‘Melancholy’ seems to be the new trope of prog music; songs of emotional despair and stories of lost lovers have replaced dragons and spaceships as the subject matters of progressive rock in the Millennium. The rising popularity of bands playing this style, such as Porcupine Tree, Gazpacho and Anathema, have dominated the prog scene, alongside prog metal bands, in the last decade, finding respect and interest from both progressive rock fans and mainstream listeners and inspiring many new bands to emulate their sounds. From the Netherlands, newly formed Our Oceans can be described as a love-child of the jazz metal of Cynic and black metal of Dodecahedron, which isn‘t surprising as they comprise ex-Cynic members Tymon Kruidenier and Robin Zielhorst plus Michel Nienhui and Jasper Barendregt from Dodecahedron. Their recently released self-titled debut album fuses the bass-heavy Cynic sound with melancholic tunes over a rich and atmospheric background. The percussive fretless bass and dynamic drums couple with Kruidenier’s soft and wistful voice to dominate the album and they have produced one of the most powerful and emotional albums of the year. The strength and emotional core of the album comes from the impressive and engaging crescendos scattered through the album. Atmospheric verses slowly build to vocal-heavy climaxes which explode with downbeat feelings of despair. This is most-evident in opener What If. Starting as a Porcupine Tree-like vocal/keyboard ballad, accompanied by the ever present fretless bass, the melodic vocal slowly builds towards a transition to a guitar-heavy peak. The song then moves to post-rock with repetitive guitars, giving way perfectly to a choral outro that leaves the listener wanting more. Tangled elevates the fretless bass to a predominant role, establishing a more dynamic and atmospheric background sound. A mid-section of choral vocals develops alongside bass and drums to culminate with an incredible guitar solo which certainly succeeds in filling the heart with sorrow (however, if that’s all you’re looking for in a song then you should definitely see a doctor!). Although keeping up the pace and quality with songs such as Lioness’ Sunrise and Illuminate, the album’s overbearing melancholy gets a little repetitive and dull, the more unimaginative and straightforward tracks such as Precarious. Lioness’ Sunrise shakes off the bad taste leftover from Precarious to offer one of the greatest build-ups and crescendos on the album. As one of the longest songs, at around 6 minutes, it introduces prominent keyboard soundscaping and higher vocals to establish an awe-inspiring atmosphere. Similar to Tangled, a choral section – which includes the best chorus on the album – leads to an explosive peak that gives each member a chance to demonstrate their talents and the superlative interplay between the instruments. Mixing things up the with shorter, more energetic and poppier tracks like Am I Still Here?, and with heavier and more rocking songs like Illuminate, Our Oceans successfully manages to keep things interesting whilst not steering away from the musical essence of the album. The longest track, Turquoise, comes after two simpler tracks and is also the most complex piece here, featuring astonishing bass-work and marvellous drumming to build the tension throughout the outro and dense guitars perfecting the ambience. 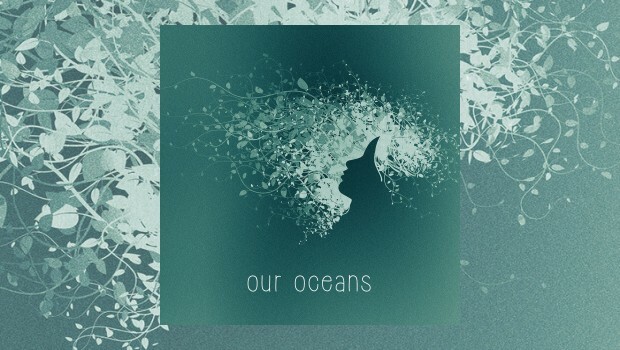 Our Oceans’ debut closes with two tracks that sadly fails to measure up to the feeling of awe created elsewhere. While penultimate piece Let Me feels like a straightforward rock song, closer Reawaken does nothing but repeat ideas established previously in the album. So, albeit having a strong start and an amazing middle-section, the album fails to close on a high note. Not without its mistakes, Our Oceans certainly points towards a well-established sound, a strong chemistry between the band members, and a bright future for making listeners cry their hearts out. If you’re looking for a band that can show musical creativity without sacrificing the emotional subject matter (*coughs* looking at you Stevie Wilson), Our Oceans should be a band to look out for in the future.